Mohamed Salah’s beautiful curler beating Jordan Pickford and shattering Everton’s defenders was voted goal of the month for Liverpool last December. 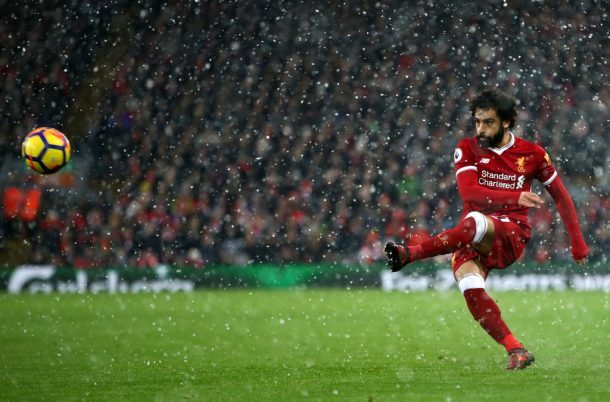 The Reds have bagged 31 goals in December, and it was Salah’s strike in the Merseyside derby that won the fans’ vote, after the Pharaoh claimed the goal is his favorite since joining his new club. With six goals and three assists, Salah continued to show his true colors last December, going neck and neck with Tottenham’s striker Harry Kane to compete for the Golden Boot and reaching a five goal tally in the Champions League. Salah has already been named PFA player of the month in December as he fired 17 goals in the Premier League only one short of the league’s finest Kane. Liverpool will be facing Manchester City next Sunday, hoping to become the team to break their unbeaten record.